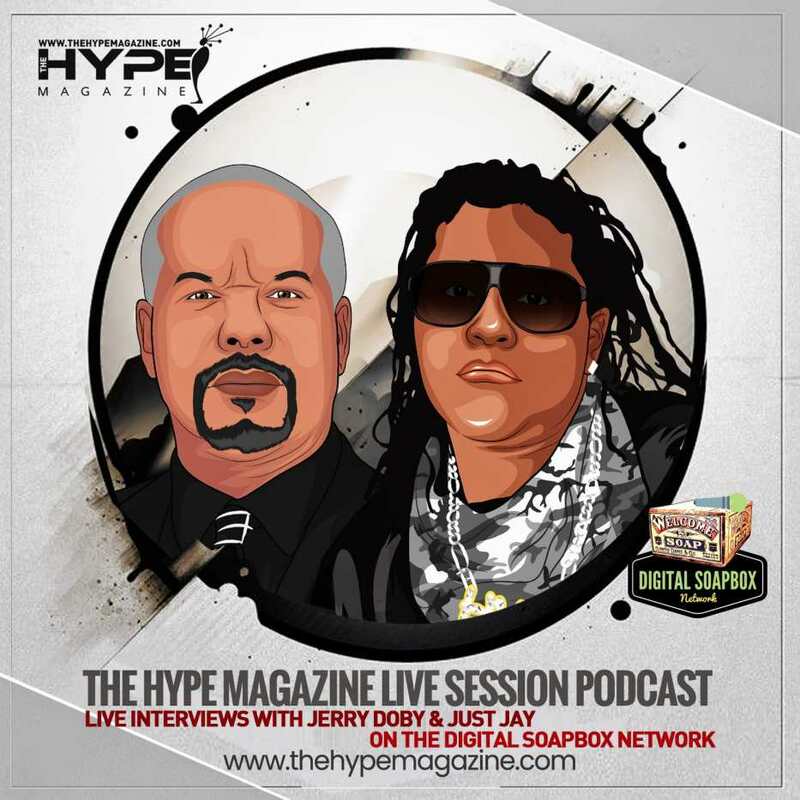 LAWRENCEVILLE, Ga. - Feb. 15, 2019 - PRLog -- The Hype Magazine, the world's #1 Digital/Print Magazine is happy to announce it has signed an exclusive podcast agreement with Digital Soapbox Network to carry and distribute its "Live Session" podcast series. The Hype Magazine "Live Session" is a collection of exclusive conversations with today's top influencers, celebrities, rising stars and executives from across a broad spectrum of lifestyle and entertainment. The Hype Magazine "Live Session" podcasts boast a catalog of one-on-one talks with top entertainment industry personalities and executives, politicians, national security experts, Hall of Fame sports personalities and more. The series also includes conversations on trending and hot-button topics hosted by The Hype Magazine's CEO/Publisher Jameelah "Just Jay" Wilkerson, Editor-in-Chief Jerry Doby and other Editor's from throughout The Hype Magazine Network. The Digital Soapbox Network is a rapidly growing producer and distributor of digital audio and video content. Formed in 2017, their mission is to provide the very best in on-demand digital content. The purpose of the content presented is to engage, inform and educate listeners and viewers. The Digital Soapbox Network's shows are hosted by some of entertainment's most known celebrities, journalist and influencers. In 2018 "DSN" signed an exclusive distribution agreement with Entercom a national network of over 235 news, sports and music radio stations across the country. Entercom carries brands such as ESPN, Kiss FM, etc. and is available to listen live on Radio.com. A non-genre specific lifestyle and entertainment outlet, The Hype Magazine prides itself in covering "News from Hip Hop to Hollywood" and beyond. Led by CEO/Publisher Jameelah "Just Jay" Wilkerson, Hype has truly become "where it's at" in the realm of media, marketing, and promotion on a global scale. In addition to its traditional coverage, The Hype Magazine recently announced its second publication Raynbow Affair, the #1 LGBTQ magazine comprehensively covering the hottest topics from the community and beyond.